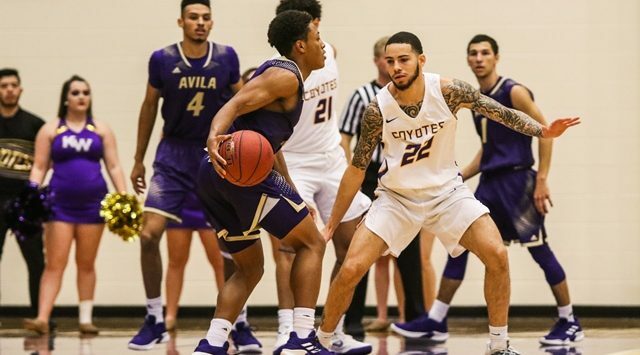 WICHITA, Kan. – Cameron Hunt of (14) Southwestern College and Marquis Kraemer of Kansas Wesleyan University have earned the KCAC Men’s Basketball Offensive and Defensive Player of the Week honors, respectively, the conference office announced Monday. The two student-athletes were selected for their performances from Nov. 19-25 by a vote of conference sports information directors. In a week where Southwestern had four games in six days, Cameron Hunt responded with two 40-point games, going for 41 in a home win over third-place York and then 44 on the road at McPherson- helping lead the Moundbuilders from 15 points down to win 91-87. Hunt also had at least 5 assists in all three games he played in this week. He is currently tied for first for the nation’s leading scorer. 6-0 | R-So. | G | Aurora, Colo.
On the defensive side of the ball, Kraemer was phenomenal guarding some of the top players in the conference. 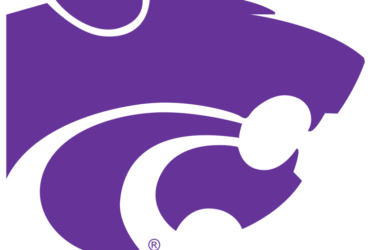 Against McPherson, he held Chamaje Barideaux to 10 points on 4-of-13 shooting, who had been averaging 18.5 per game and had scored 35 and 27 the previous two games. Against Southwestern, he held Cam Hunt to just 17 points (averaging 29.6) and forced him into nine turnovers in the game. Against Avila he held Shandon Boone to four points (0-for-5 from the field) after had been averaging 26.3 points per game. He was key in holding all three well below their season scoring averages. Offensively he also contributed as well, scoring 12.3 points per game in three games and averaging 3.0 rebounds and 3.3 assists per game.